Amit is the son of former Chhattisgarh Chief Minister Ajit Jogi. 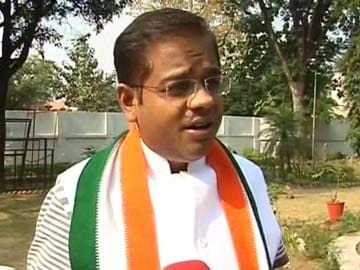 Raipur: Amit Jogi, who quotes Henry Kissinger to defend the politics of dynasty in election-bound Chhattisgarh, says there is no ambiguity about his date and place of birth - he was born in Dallas, USA, in 1977, he says. Amit is the son of former Chhattisgarh Chief Minister Ajit Jogi and is contesting assembly elections this month on a Congress ticket. Days after he was picked as part of Rahul Gandhi's efforts to field Gen Next leaders in the state, Mr Jogi finds himself in a spot of controversy amid allegations that he has furnished at different times, documents that list different places - in Bilaspur, Chhatisgarh - and time of birth. Mr Jogi refuted these reports today and told NDTV, "I can't help where I was born... I was born in Dallas, USA, in 1977 and I was nationalised by LK Advani in 2002." That is when Mr Jogi became an Indian citizen. His father was the chief minister of Chhattisgarh at the time. 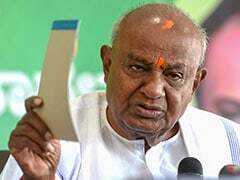 The grant of election ticket to Mr Jogi and other sons and daughters of quite a few Congress politicians by the party for this year's state elections has been criticised as dynastic politics by rival parties. A day after their candidacy was announced, Rahul Gandhi, the Congress number 2, had said at an election rally in Churu in Rajasthan, "I will tell you the biggest shortage in the country: shortage of leadership. 300-500 people run it. I want the youth and poor to run the political system in future." Mr Jogi says he has been by hand-picked by Mr Gandhi to contest elections "because I work hard." The debutant politician replaces his father, who had won the last three Lok Sabha elections from Marwahi.